We offer you Outdoor Radio Antenna product with following specification. Established in the year 2012, Tecnika Solutions is a prominent Manufacturer and Supplier of a wide range of Wireless and Directional Antenna, Wireless For Home And Office, Router Board, Network Interface Board, Networking Accessories, Ethernet Router, Router Switches, Network Storage Enclosure, Power Over Ethernet Injector, Charging Adapter. All these products are developed by our experts employing high grade raw material and advanced machines. 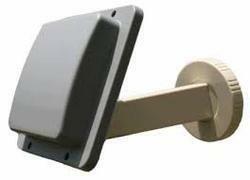 These products are appreciated for durability, compact design, easy to install and high functionality. Available in many specifications, these products are widely demanded by our customers. Moreover, we check these products on well defined parameters and ensure that only best range is delivered to our customers.